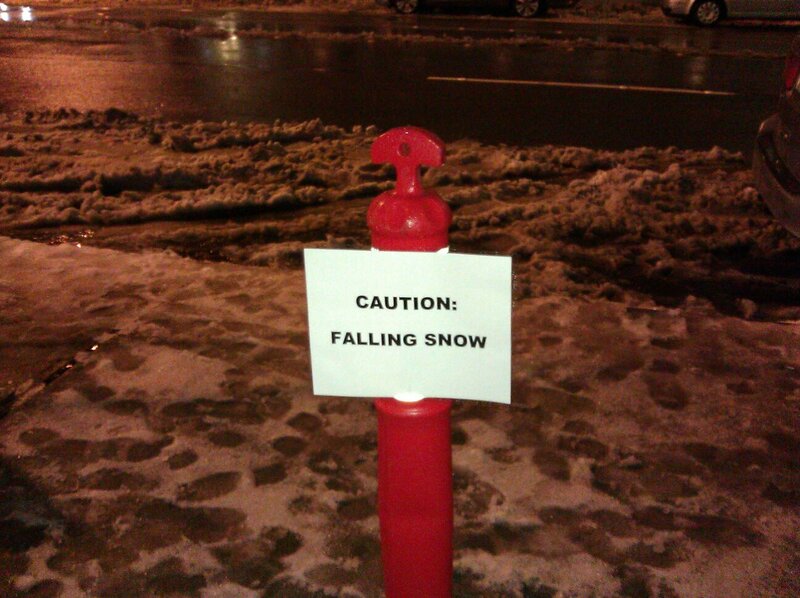 Following up on yesterday’s post, this photo of a sign posted downtown pretty well describes how Seattleites react at the first sign of flakes falling from the sky. This photo courtesy of my friend Jamie Swedler. This entry was posted in Collections, Photos and tagged january, seattle, snow, snowpocalypse. Bookmark the permalink.